[Jeri Ellsworth] is at it again, this time she takes apart a hot wheels speed gun and in the process she does a good job of explaining how radar can be used to measure speed. She also demonstrates a way to determine if an object is approaching or receding from the radar gun. The Doppler shift is one way to remotely measure the speed of an object. It works by measuring the change in frequency of a wave after it strikes an object. Rather than measuring the Doppler shift of the returning wave most radar guns use the phase shift. The reason is that the frequency shift of a relativly slow object (60mph), to a relitivly high frequency signal(10GHz) is small (about 0.893Hz), where the phase shift varies based on the distance of the object. This is all just a stepping stone in her quest to build a crude TSA body scanner. Tentacles have inspired fear and respect in humans long before anime came into the scene. Sailors shivered in their timbers at the thought of the great Kraken, or that octopus from 20,000 Leagues Under the Sea. It’s no surprise to know that humans have been trying to harness this fear and respect in technological form since the mid-20th century at least. The fascinating world of tentacle robots has come a long way. 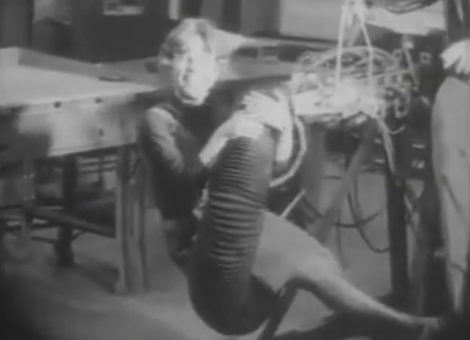 It used to be that every breakthrough in tentaclebot technology had to be justified with either a military or misogynistic application, as demonstrated in this remarkable MIT project from 1968. Thankfully our society has moved on since those misguided times, and while there is still the ever-present military-industrial complex to push for tentacled combat-omatons, forward-thinking people on the domestic front like [festo] demonstrate that at least some of us want to use tentacle robots for peace, love and food handling. Catch the video after the break. This isn’t a hack. But it is a decidedly interesting piece of mechanical technology. 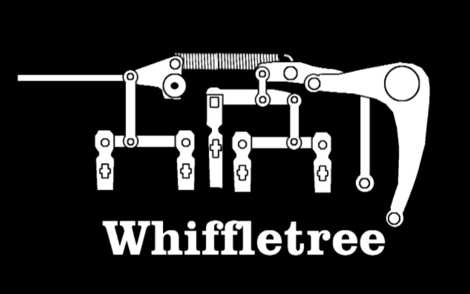 The Whiffletree shown above is a way to turn binary data into a mechanical analog value. [Bill Hammack] explains how this assembly is used in a typewriter and how a whiffletree can convert binary data to a set of analog outputs. These linkages are what makes an IBM Selectrix Typewriter work. You know, the one with the globe stylus instead of individual hammers for each key? [Bill] uses the typewriter as the example in his illustrations that show how each bit of data positions the output in a predictably different location. We’re familiar with other mechanical representations of binary data but converting to an analog value mechanically is a new concept for us. Lukily, the videos that [Bill] put together are fantastic at explaining the concepts. Not surprising, since he is a professor at the University of Illinois at Urbana-Champaign . See them both after the break. [Thibault Brevet] wanted his own party lighting that pulsed and faded along with the tunes. 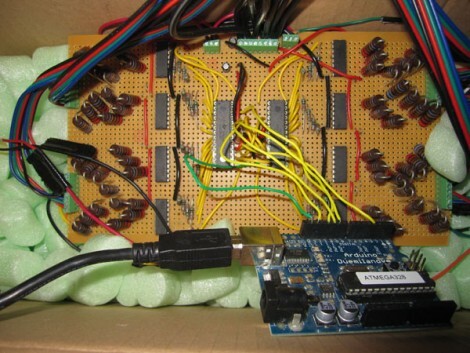 He ended up building a system based on an Arduino and a PC running Processing. The output from a mixing board is fed into a PC and measured by the Processing script. From there, the calculated light levels are sent to the Arduino to address the LEDs via the control board seen above. [Thibault] built four LED modules that each have two 4-channel LEDs (red, green, blue, white) separated by a few feet. This means 32 PWM signals are necessary to drive the system. To get there, he utilized a pair of TLC5940 16-channel PWM chips, which function like cascading shift registers but have some fantastic current limiting and dot correction features. Take a look at the demo after the break to see what he’s accomplished. The TLC5940 is a popular choice for driving RGB LEDs, and would be a nice part to use if you decide to make yourself a Ping Pong LED Wall. 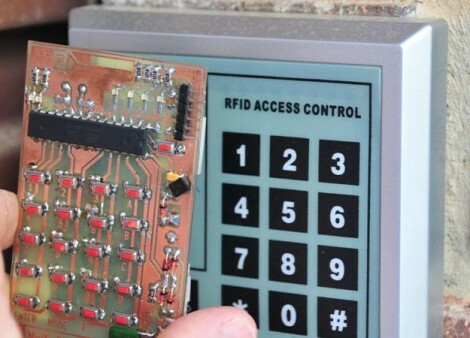 Here’s a field-programmable RFID spoofer developed by [Doug Jackson]. He was inspired by the spoofers we looked at near the end of September that didn’t have source code available. With the idea seeded in his mind he figured he could develop his own version, and then decided to share the build details with the rest of us. The tags that he purchased for testing and developing the spoofer have a code printed on the back of them. A bit of sleuthing at the data from a tag reader and he managed to crack the code. From there he built this tag spoofer with a keypad on which you enter the number from the back of any 125 kHz tag and the device becomes that tag. If you have been waiting to test your RFID hacking skills there should be nothing holding you back now that [Doug] shared the details of his own adventure. [Rhys Goodwin] is grabbing parts from junk PCBs but he’s not using a rework station. Instead it’s a hot-air gun and a brisk tap on the bench to send the parts flying. Well, at least he’s not using a blow-torch like [Ben Heck] does. [GMG] took a small persistence of vision board and slapped onto an oscillating fan blade. Along with a couple of magnets on the safety cage this display is a persistence of vision hack you can pull off in an hour or two. [James] figured out a way to cut down on the time it takes to etch multiple copies of one item with a laser cutter. It doesn’t run the laser faster, but orients the pieces in a way that means less movement of the head while the laser is not on. Read through his article and see if this method can help you out when doing some CNC work.